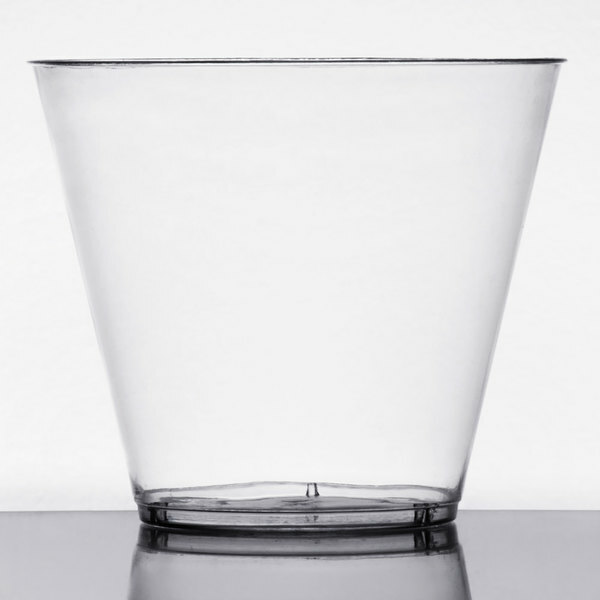 Combining crystal-clear clarity and a cut-glass appearance, this ultra-elegant WNA Comet CCR9240 Classicware 9 oz. 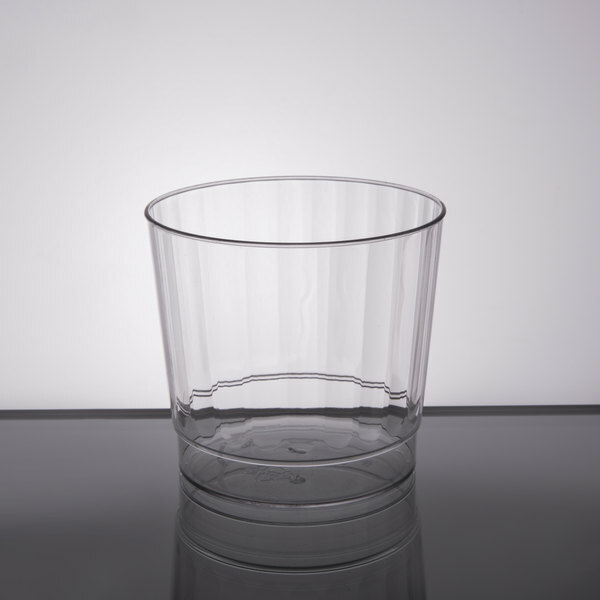 rocks clear plastic fluted tumbler makes the ideal addition to upscale catered events looking for the convenience of disposability in their drinkware. Use it for virtually any beverage from water to juice, milk to mixed drinks. It's great for soda and punch too! 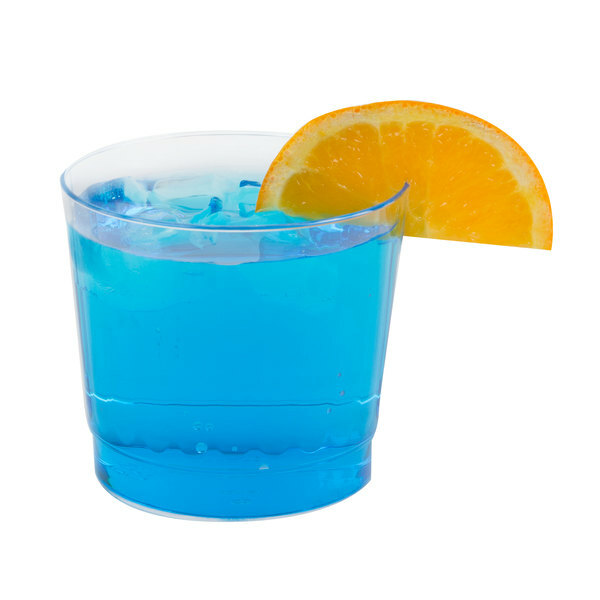 This fluted tumbler's versatile 9 oz. size makes it great for any day part, while the squat design offers a pleasing appearance. Elegant cup with really nice designs. It really looks like a crystal rocks glass. Perfect for making cocktails and mixed drinks. Very durable even if it hits the ground. If you need a plastic drink cup for straight liquor, this is a solid choice. Yes, it's plastic, but it looks nice. Great for outdoor patios or where people are walking around with their drinks. Love these cups! They are classy and functional. Perfect for wine or spirits "on the rocks". They are sturdy and rigid. Feels more like glass than most. Attractive design. I used these serve beer when very busy. 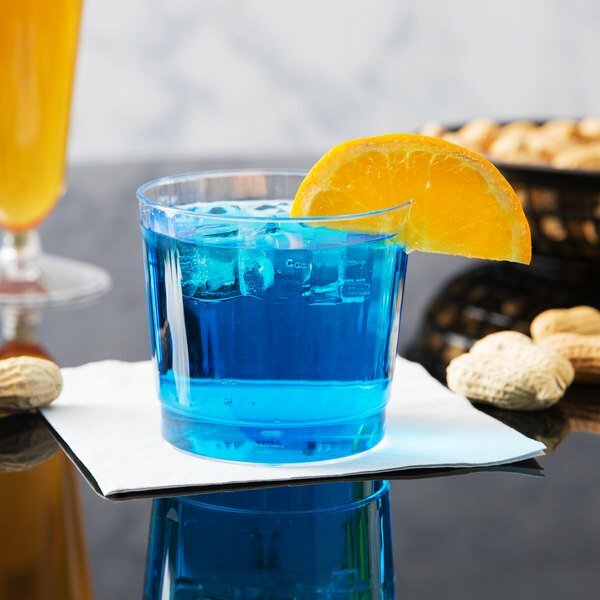 Also perfect for cocktails. 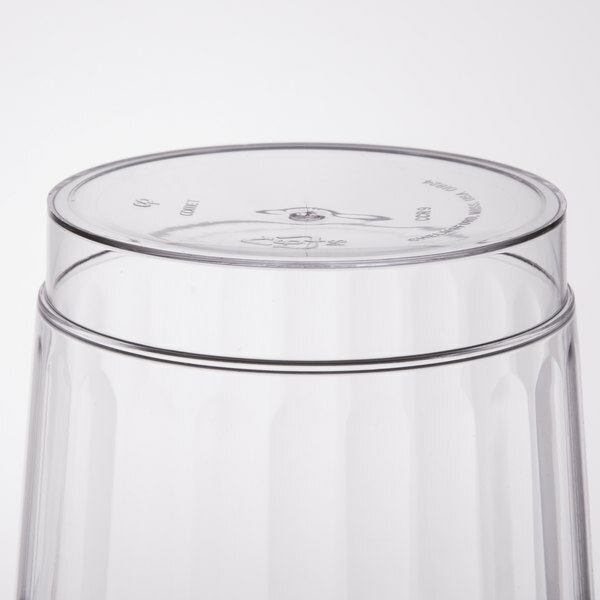 This is an easy way to service customers without having to deal with glassware. We used these this year at our company Christmas party and everyone loved them. Easy to clean up and no one spilled anything. very good product for any occasion. These tumblers do the job. They will crack easily though. They are not stable for use with children or heavy-handed people. But they do well in most circumstances. These are perfect if you're looking for disposable shot glasses for a bar situation. Love em! I highly recommend these to anyone for quick and easy shots. 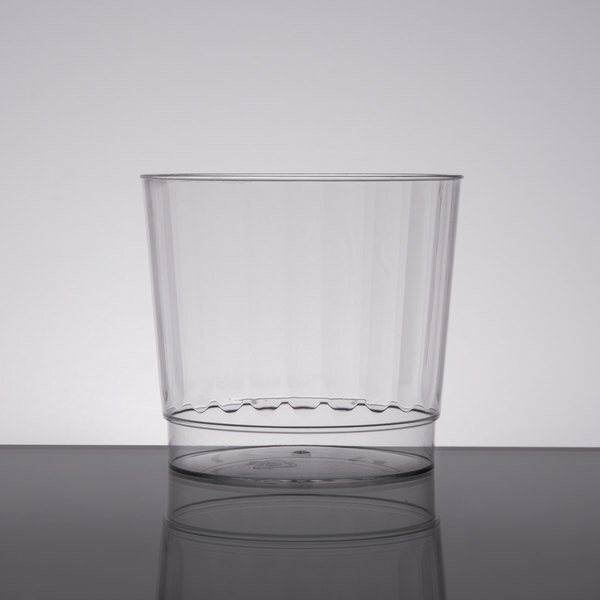 These plastic cups were a hit with my guests at my wedding they all thought there were glass untill they took them up. Love them! Save Up To $0.15 per unit for a total savings of $72.89 with our Recommended Product! Try the Choice 9 oz. tumbler instead! 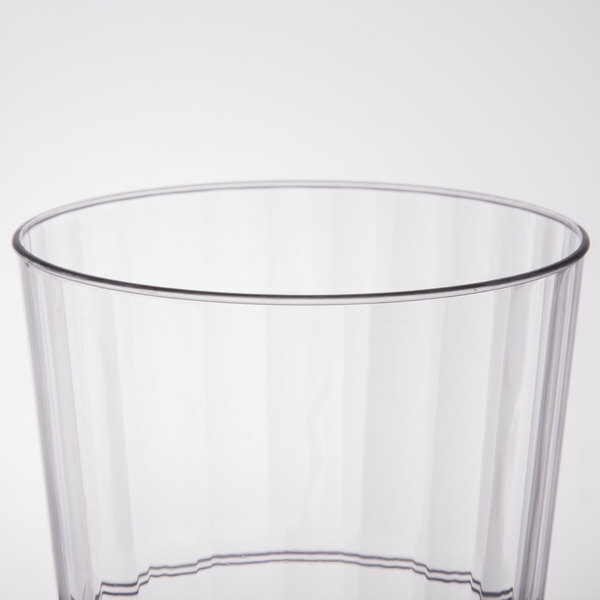 Conveniently disposable, this plastic tumbler also features a clean, simple design and a 9 oz. capacity. It's a comparable alternative to the WNA Comet plastic rocks cup, and best of all, it's available to you at a lower price!